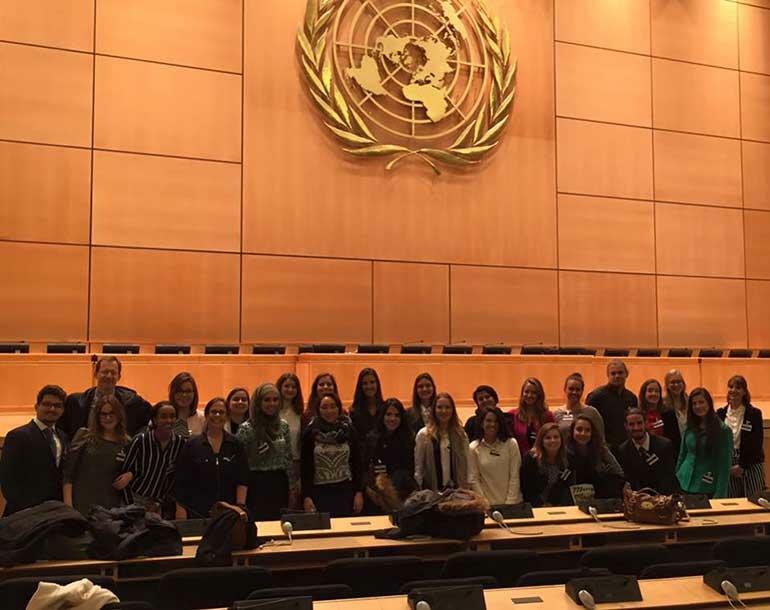 From April 30th to May 7th, students from the Master Program in Human Rights and Multiculturalism at USN joined students from UNISINOS University from Brazil to experience an intense study programme in Geneva. The academic mission constituted an initiative to bring active learning opportunities to students, as well as to raise awareness about human rights advocacy, career opportunities in the UN system and the relevant work developed by NGO’s and International Governmental Organizations based in the city. Students received joint lectures about International Law, Human Rights, Health, Human Rights and Trade, Humanitarian Law and Aid, Migration and Refugee rights, while visiting institutions such as the United Nations Office at Geneva, World Trade Organization, World Labour Organization, World Health Organization, UNHCR, ICRC, Doctors without Borders, the International Organization for Migration, the Norwegian Permanent Mission in Geneva, and the Geneva Academy of International Humanitarian Law and Human Rights. The programme was a cooperation coordinated by Gabriela Mezzanotti (Associate Professor at USN) and Alvaro Augusto Paes Leme (Associate Professor at Unisinos). Gabriela Mezzanotti considers that “besides the direct academic gain from all the lectures and visits students shared, this was a unique multicultural and transdisciplinary learning experience, where a diverse group of young people (composed of 26 students of 11 different nationalities) were able to share their different ideas, interpretations, contexts, and culture regarding, not only the role of human rights, international institutions, national policies and foreign affairs, but mainly their dreams and hopes for the future”. Kate Griffiths says “the trip to Geneva offered to students of human rights and multiculturalism was a unique and invaluable experience. 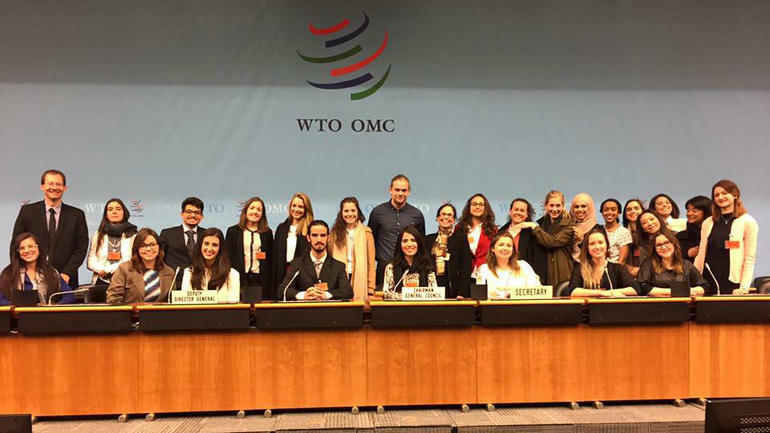 As a student of human rights, it was a fantastic opportunity in itself to be able to visit many of the international organisations that had been the focus of our curriculum and discussions. My personal highlight was visiting the International Committee of the Red Cross to be able to discuss the challenges of international humanitarian law and the work that the ICRC does in the field. For me, it was fantastic to be able to meet people working in the humanitarian field to discuss their previous educational and work experiences that led them to this work". Ewan Menghis says “I also liked the fact that the UNHCR, UNOG, ICRC, MSF explained internship possibilities and their respective requirements. It helps us envision where we would like to work in the long run. Overall after this trip, I believe that it is essential for anyone studying or interested in international human rights law to have such an experience. My theoretical knowledge about these organizations somewhat transitioned into a practical experience. Seeing the places with historical significance with my own eyes made it more tangible, more real, and made it an experience hard to forget”. Marina Belyaeva says “lectures were organized for students by professionals with remarkable experience, especially in the field of human rights. We have had a really fruitful study trip. The experience and knowledge gained from this trip are colossal". 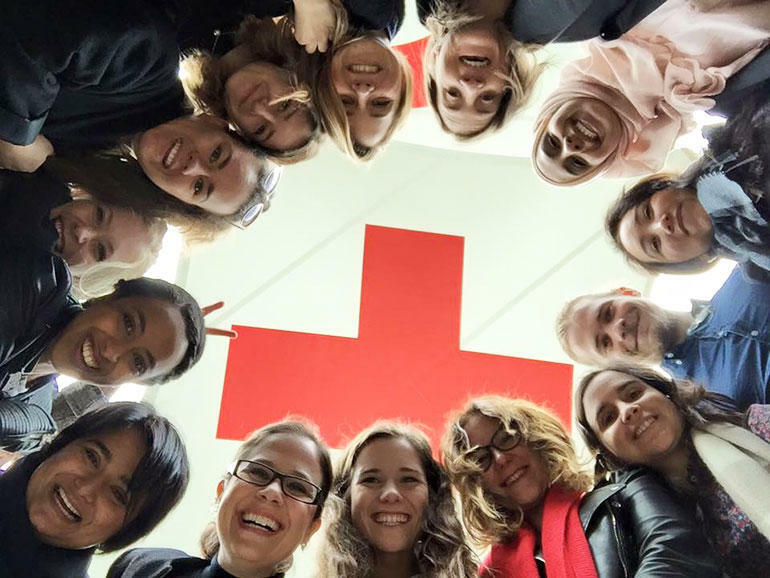 “Our week in Geneva was one of the most inspiring trips that I've ever had in my life. It was a privilege to visit the UN palace and some of its organizations as well as ICRC and MSF. The IOM was special because it touched me in such way that inspired me to work in the humanitarian field”, says Juliana Gerardo. “It was very interesting to visit the different international organizations and learn more about their work and the issues we have discussed in class. It was a motivating and inspiring trip. We also had a lot of fun together, and had a great time”, says Camilla Abrahamsen. “At the beginning of the study trip, I would not have anticipated the World Health Organization (WHO) being one of my favorite stops. There we learned about the work of WHO with a focus on their efforts to eradicate polio and about the incredible network of people they have assembled to try to stop polio from being a reality", says Alyssa Veliquette.